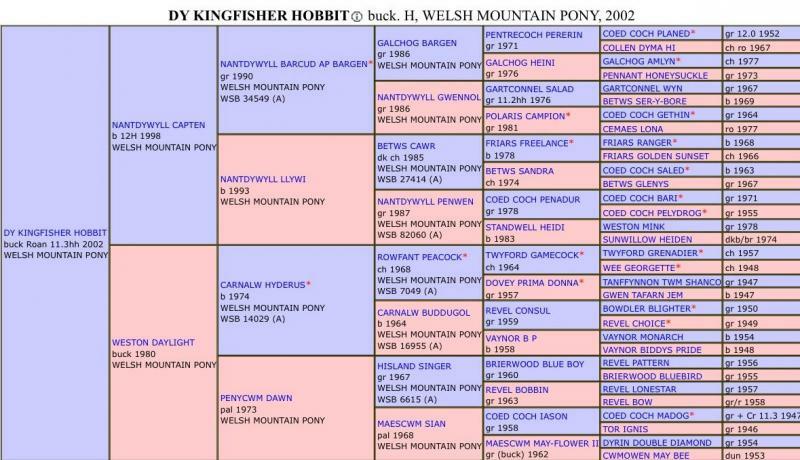 Hobbit was foaled in 2002. He is by the imported Nantdywyll Capten and out of the imported Weston Daylight. 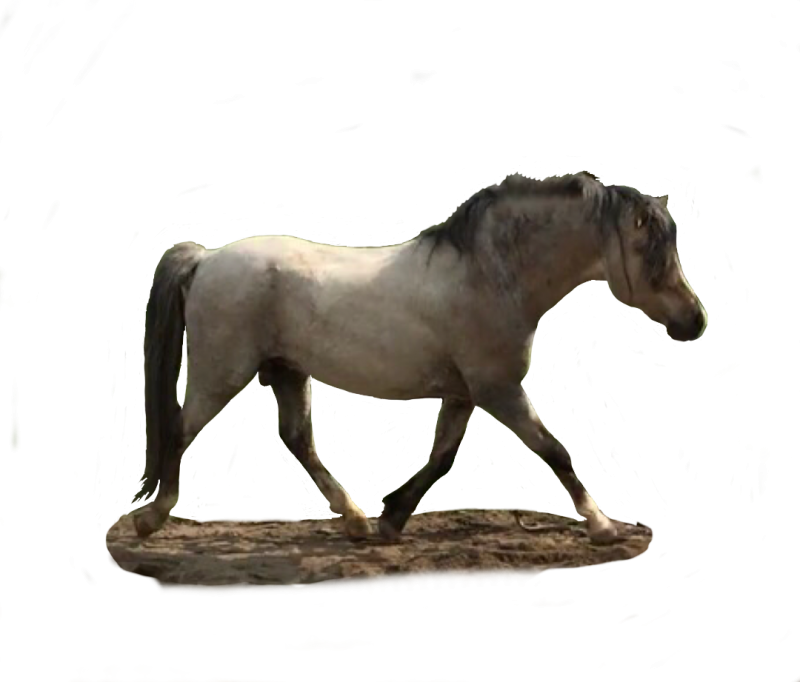 Lot's of Coed Coch in his pedigree. 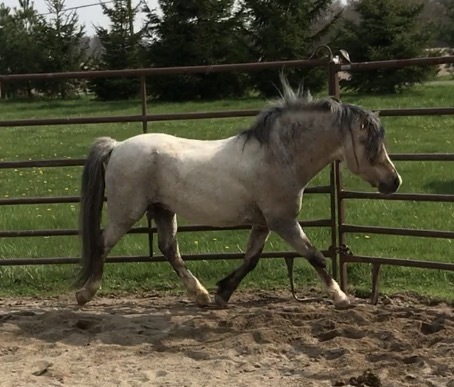 He has true Mountain Pony presence and a lovely floating trot. 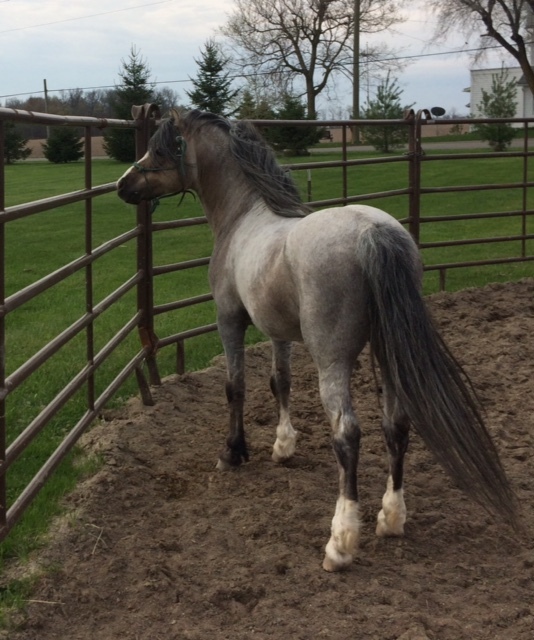 He is a unique sooty bucksking roan who has sire palomino, buckskin, and roan foals with various base colors. 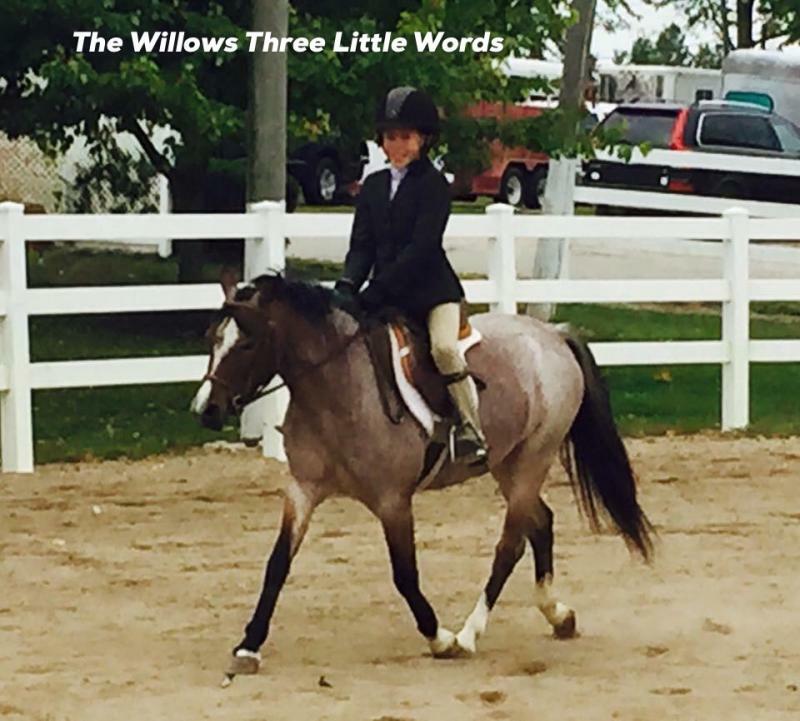 While he looks grey in photos, in person you see that his points are dark brown and he has amber colored eyes. 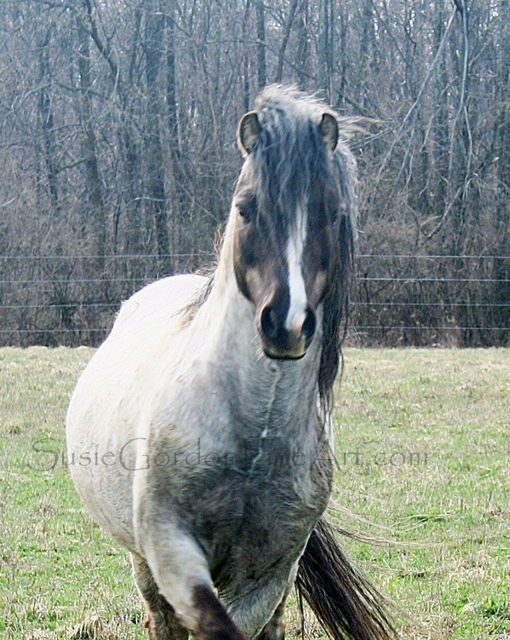 Hobbit's foals are conformationally correct and have the sweetest temperaments. 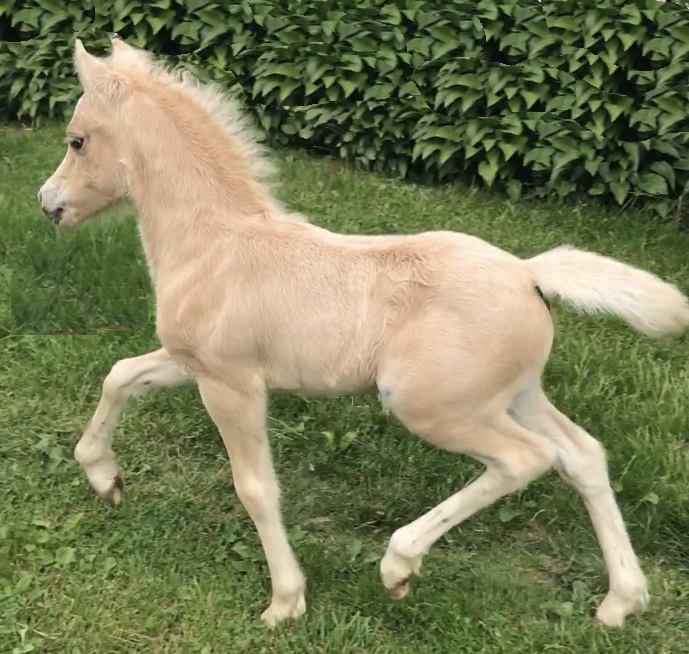 Hobbit is available by live cover for the 2019 season including for our Design-A-Foal program. 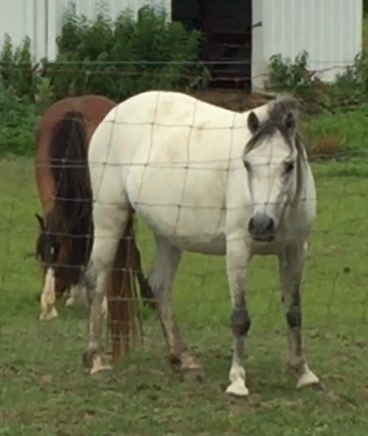 2019 stud fee $400.